Fran Warren – An every day kinda love…	Coming soon… A profile on Suzi Quatro! 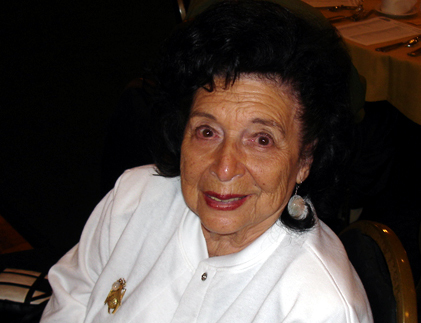 Bea Wain – Happy 95th Birthday! This entry may be regarded as yet another one of my portraits of Big Band Singers, but is it also a celebration of the great Miss Bea Wain, perhaps THE best singer who came out of the big band era! Bea Wain is very much still alive, and today she turns 95 years old! Born on April 30th 1917, much of Bea Wain’s recording career was over and done with by the outbreak of WWII. She started recording in 1934, and her last commercial records were made in the mid-1940s. She was the featured singer with Larry Clintons orchestra, and with his band she put approximately 65 songs on records, but even before that she had made another 15 records with other bands. 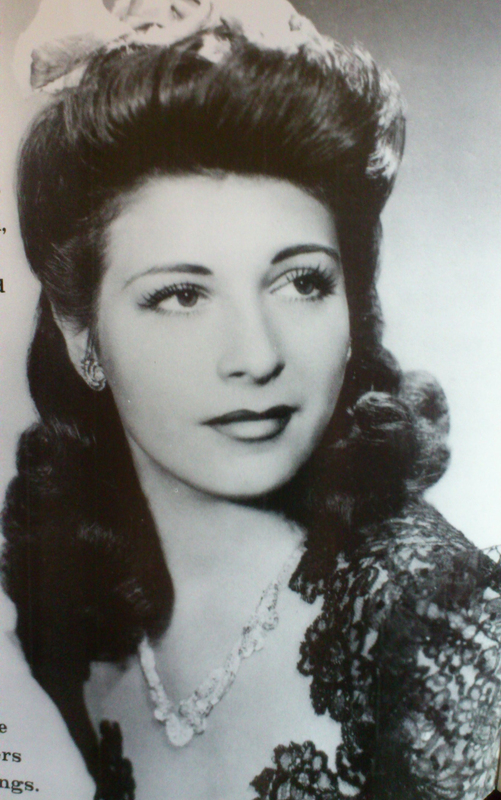 She was signed to RCA Victor as a solo artist in 1939, releasing another 50 songs on different singles up to 1947. During her years as a recording artist, Bea Wain scored 4 No. 1 hits; “Deep Purple”, “Cry Baby, Cry”, “Heart & Soul” and “My Reverie”. Rightly considered by many to be one of the best female vocalists of her era, Bea had a full, flexible voice that showed off a natural feeling for swing, yet she could also wring the last drop of emotion out of a ballad. Years before Adele, Dusty Springfield, Bonnie Bramlett and other white singers who can sing “black”, Bea Wain was maybe the first white girl singer who had true “soul”! She also recorded a couple of bluesy songs, sounding right at home even in that kind of material. She had excellent pitch, and a good sense of dynamics, making everything she sang sound convincing and unforced. A lot of singers at the time sang only the chorus of the songs. Bea, however, always did the verses as well – to make the song more complete, and perform the lyrics as a story, not just something to hum along to. Baldwin Street Music put together 2 excellent CDs in 2000, compiling almost all of Bea Wains solo output for RCA Victor. Volume 1 is titled “You Can Depend On Me”, volume 2 is titled “That’s How I Love The Blues”. I would highly recommend both of them, as they represent the best of Bea Wain’s work, and even if you’re just curious about this great singer, it’s a good place to start out! From the late 1940’s, Bea worked mostly on radio, in addition to singing in clubs. I’ve heard that she made records up to 1955, but so far I’ve not seen nor heard of any proof that this is correct. 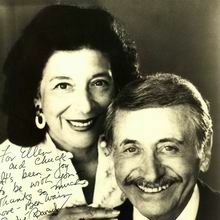 Bea was married to radio presenter Andre Baruch for 53 years, and they worked together as a husband-and-wife disc jockey team in New York on WMCA, where they were billed as “Mr. and Mrs. Music”. In 1973, the couple moved to Florida, where for nine years they had a top-rated daily four-hour talk show on WPBR before relocating to Beverly Hills. During the early 1980s, the pair hosted a syndicated version of Your Hit Parade, reconstructing the list of hits of selected weeks in the 1940s and playing the original recordings, many of which I would assume were sung by Bea herself! Around the same time, Bea was featured on TV’s “Jukebox Saturday Night”. She was sensational, proving that her voice was still very much intact and looking like she had the time of her life! Very much an underrated singer even from the start, Bea Wain’s musical legacy was further obscured by the fact that most of it remained out of print and circulation for so many years. Luckily, the CD age rectified that – and today most of her records are available again on CD and digitally. 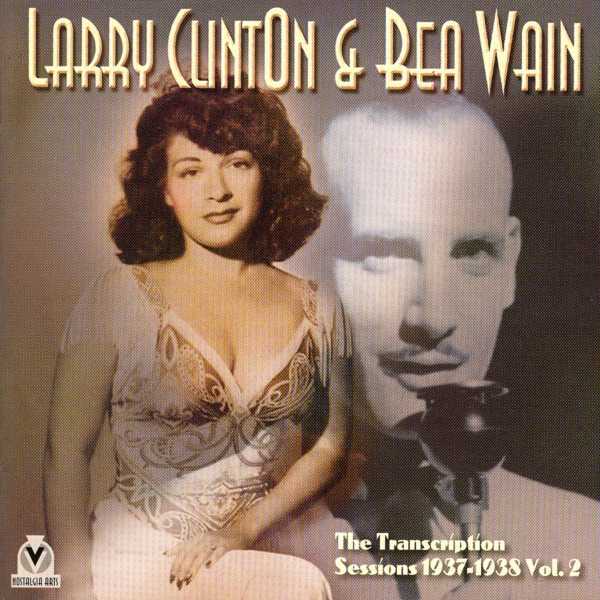 Larry Clinton himself enjoyed a long and fruitful career, and in the mid-fifties he even remade some of Bea’s hit songs, using Helen Ward as vocalist. 2 great volumes of Larry & Bea have been released on CD (se above and below). Ted Ono from Baldwin Street Music interviewed Bea when compiling the 2 CDs that came out in 2000. He was full of praise, saying she was funny, gracious, a delight to talk to, intelligent and witty. He also stated she was very much “computer literate, and uses email”. Personally, I hope Bea still is computer literate and that she herself reads this blog post! If justice be done, today will see at lot of praise in print and on radio, to honor this great, legendary vocalist on her 95th birthday. She must be pleased that after making her first records 78 years ago, she still has a lot of fans around – and that we still appreciate how that golden voice wrapped itself around some of the best music made in those days! Bea: a very, very happy birthday to you from me! And a great big THANK YOU for creating all that wonderful music! She gets quite a bit of airtime on SiriusXM’s 40’s on 4 channel. I’ve become a huge Bea Wain fan because of it! I just love listening to bea wain. she is timeless and i’m so glad i an still hear her on sirius radio. she’s the best! I agree, she really is timeless. And her voice is perfect for radio, clear, warm and pleasant! And she has that extra touch – her way of communicating the lyrics. Thanks for your comment, Betty! It’s always nice to hear from Bea Wain fans all over the world. Hi Ernie, and thanks for writing, I am always happy to hear from Bea Wain fans around the world! If you have the ability to download music, there are much more than 17 songs out there! Sites like http://www.emusic.com and also iTunes has a lot more to offer. In my blog post you see the two Larry Clinton CDs pictured, they are both available digitally. The two CDs Ted Ono produced should be available from some of the internet shops, try Amazon. Most of those tracks are also on the digitally available “Very Best of Bea Wain”. The Larry Clinton CDs alone contain 52 songs altogether, and the “Very Best of” has 48 songs, so you should be able to increase the number of 17 really fast! My post was written almost two years ago, but nothing has changed since then; as far as I know – Bea is alive and well. And I’m sure she is very happy to hear from fans who wasn’t even born when she started out almost 80 years ago! Hi Ross! Thanks for writing! Bea and Helen Forrest are two of the really great big band singers, I agree! I know that Bea uses email, but I have no adress that I can provide. However, her daughter Bonnie Baruch Barnes, is on Facebook and she will probably be more than happy to forward your greetings to Bea! Wishing you a merry Christmas, Ross & all the best for a great 2015 – fill the new year with music! Hi Rose, thanks for writing! Bea is still alive (and well too, I hope) – she turned 97 this last April. I am not in direct touch with her, but as far as I know, she is using email and can probably be reached. I’ve heard a couple of interviews with her, done by some radio stations quite recently. If you search for the interviews, maybe the radio stations can help you out, as I don’t know where she lives, nor do I have her email adress. Wow, what an artist. Newly discovered by me and now a fan fully heart and soul of Bea Wain. I wish I could thank her personally for her contributions. Bea singing can send be out in style when my time comes along! I am a musician(percussion, Brazilian & Latin etc) playing jazz the weekends with young and not so young talented musicians here in Dumaguete City in the Philippines. I am sure that we will do “My Reverie” even if the folks her are 20-50 years old. Here jazz fusion, standards of the 1950’s, not 1940’s are included locally. Our instrumentation includes, keyboard, guitar, bass/double bass, sax, drums & congas & assorted percussion. We have a fine male vocalist big range. Looking for a great lady singer for our front line. Ages of my two bands( one 20’s except, me at 68 years young), the other band 4 of us 55 plus, and 3(vocals, keys,sax in their 20’s). I hope that we can incorporate tunes from this era, especially Bea’s into our playlist. We will no doubt have a lot of fun with arrangements. I send my well wishes to the ONE & ONLY BEA WAIN! Hi Fred! Thanks for writing! Sounds like you have quite a band there. And I bet Bea Wain would fit right in to that instrumentation and your repertoire too! I hope Miss Wain reads your greetings to her here. As far as I know – she is still vividly alive and well in every way, so maybe she reads this…! Thanks for your kind words & regards Stian. I certainly hope that she would be delighted that she is still very much having a impact on generations who would, sadly, otherwise miss the important era of music which she will forever stand be immortalized. Here in the Visayans Central Philippines, I am introducing singers to her tunes. Our female vocalist of the Hayahay Project never heard of “My Reverie” even though she was a voice major at America’s first institution of higher learning in Asia…here in Dumaguete, Silliman University established in 1901, I intend that Leslie our talented jazz vocalist becomes familiar with Bea Wain’s legacy. Thanks again for your well wishes! I totally agree about younger generations missing out on thie important era of music that Bea belongs to. There are so many great singers from the 30s and 40s who have left behind musikal legacies that are way overdue for rediscovering! Helen ward, Helen O’Connell, Helen Forrest (that’s the Helens! ), Dinah Shore, Peg LaCentra, Alice Faye, Frances Langford, Fran Warren to name just a few. Articles on Fran Warren and Helen Ward you can find on my web site…. I am sure Your singer (and many others) will find many, many treasures among the songs Bea and these other singers recorded way back when. I absolutely love Bea Wain! I’ve been a fan for nearly two years and I appreciate her inflected mood and tone. In response to being able to get into contact with her, simply message her daughter Bonnie Baruch-Barnes on Facebook and she should message back pretty fast. I was able to send Bea a beautiful message and she loved it! Hi there, and thanks for writing! I am really happy about your tip on how to get in touch With Bea. I will send Miss Bonnie a message and tell her about the fabulous responses I have been getting from all you Bea Wain fans out there! We are looking forward to celebrating your 100th birthday! Thanks for writing in, Gianluca! I have already sent you an email – but I will also state it here: I think the idea of making documentary on Bea Wain is a great idea! Wishing you lots of luck on that project, and please keep me posted on how that develops, will you? It makes me very sad that Ms. Wain has not received the much over due recognition she deserves. She is truly a timeless lady of class. What a voice and what a love story about her marriage to Andre. Hi Bill, thanks for writing. 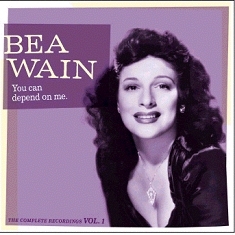 I agree, Bea Wain should indeed be recognized as one of the truly great singers of all time. Timeless and classy – she certainly is! Dear mrs Wain! Sorry for my English. You — great voice of the great time. You`re voice of our grandfathers and grandmothers, of their youth. Thank you very match, good wishes and strong health. Thak you for voice. With love. Thanks for writing, Oleg! I think mrs. Wain´s daughter follows my webpage – and if so, I am sure she will send your love and message on to Bea Wain. Miss Wain is 98 years old now, but as far as I know – she is well and healthy. a long life and an amazing career! I would love to get in touch with Ms. Wain. the stories she could tell. I can just imagine at 98 her teaming up with a young contemporary artist like Lady Gaga or Ariana Grande to make a hit record. Hi Robert, thanks for writing! I am sure Miss Wain has a lot to tell, and I am sorry she has not written an autobiography. I absolutely love your idea about the duets. Judging from what Lada Gaga did with Tony Bennett, the idea is great! I am sure both she and Ariana Grande would love to do a duet with Bea, if Bea still feel like recording at her age. Personally I can also imagine Michael Bublé and Bea Wain working up some truly magical, musical sparks together! Christmas greetings from the land of the reindeers! Tony Bennett has teamed up with Lady Gaga…he,he! Hear it on youtube! Hi Fred! For your information: Tony and Lady Gaga teamed up last year, and released the album “Cheek to cheek”! It is a collection of standards from the great American song book, and it is very good. It shows that Tony (in his mid-80s) still got it. It also proves that Lady Gaga can step out of her usual element, and that her voice is perfect for this kind of material as well. It is a very good record, and highly recommended! My late mother thought Bea Wain was by far the best female vocalist of the Big Band or any other era. As a 67 year old man, I grew up listening to big band music because my mother loved it and I inherited that love, including Bea’s singing. I was fortunate to meet Bea’s daughter and she got her mother to autograph a photo each for my mother and me. Bea is quite a lady and has lived a remarkable life. So glad she is still with us. Hi Don! Thanks for writing! I agree with your mother of course – Bea is definetely one of the best singers of any era. How nice of Bonnie to get autographs for both of you, something I would indeed treasure! I am also glad Bea is still with us, and from what I´ve heard she knows how to use a computer and reads emails – so hopefully she will read this also. It must be great at her age to know that her music is still widely appreciated, and that she is stil conidered to be one of the great singers of all time. To me, she is regarded as “vocal royalty” – a true Queen of song! Happy Birthday, dear lady. Loads of love from Michigan. Since I’m sure I’ll never have the opportunity to speak with Bea, I appreciate being able to send this e-mail. She enunciated lyrics clearly, and sang right through the middle of the note. She was able to create whatever mood a tune called for. Her phrasing was great. She handled difficult lyrical or melodic sequences, and put the right rhythms into slower tempos, which isn’t easy. She swung. Most of all, she communicated wonderfully intoxicating feeling in ballads. Just want to assure her that even now people appreciate what she did and think the world of her. Hope she’s well! I have no email adress for Bea, but you mya get in touch with her on Facebook: that is through her daughter Bonnie Baruch Barnes. Check her profile on Facebook, and send her a message. Also if you are in the US, I guess you can find her in the phone directory and get in touch that way. I first heard Bea Wain digging my way through YouTube and she fast became one of my all-time favorite singers and my current obsession. She needs to become a name people bring up as much as Anita O’Day and Peggy Lee- truly one of the greats. I’ve learned so much from listening to her, about how its possible to give so much texture and warmth to a song that the lyrics come alive. I have a little swing band and pay tribute to her when I can. Long Live Bea Wain- a treasure I hope many more people discover. Hi Joanna! I am sure you and lots of other singers have found inspiration in listening to Bea. And I am sure it would be OK to steal some of her “technique” and make it your own. I sure wish I could see you and your band on stage sometime! Bea is still alive (and well, as far as I know) – she will turn 100 in April next year. How about inviting her to one of your concerts…? Thanks for writing and sharing your story! I do my best but have a ways to go- here’s one video from our facebook page of us doing “Heart and Soul”. https://www.facebook.com/plugins/video.php?href=https%3A%2F%2Fwww.facebook.com%2Fjudy.peacock.33%2Fvideos%2F863038027159477%2F&show_text= I never really cared about that song until I heard Bea Wain do it, and now its one of my all-time favorites. I’m thrilled that Bea is alive and well and would love to invite her to one of our shows- but we are in Altanta and I’m not sure how big a trip that would be for her. In any case, I’d just like to be able to tell her how much I adore her music. Thanks for sending me the clip – I like your version a lot too! I first heard Ms. Wain while researching my uncle’s close vocal Harmony group The Deep River Boys. They sang backup to her on Sometimes I Feel Like A Motherless Child and (I want to recall) on the A-Side number God Bless The Child as well. This is Victor 27579. I’ve been in love with her voice ever since. I put her version of The Gentleman Is A Dope up there with anybody’s, even Barbara Cook’s. Hi Alfred! Thanks for writing. How marvellous to have an uncle in the Deep River Boys – they were very popular in Norway, and my mother who worked in a record company in the 1950’s bought all of the EPs! The Boys & Bea singing together is a match made in heaven for sure! I have just discovered Bea Wain on you tube and am in love with her voice singing Just a shade on the blue side , Heart and soul. etc, What a perfect singer ! I “discovered” Bea Wain by researching on the web for Heart and Soul” after I heard “Train” Performing “Play that Song” as I recognized the chording so similar to “Heart and Soul” that I was familiar with from the 60’s when the Cleftones as well as Jan and Dean sang it. Searching more I found, more info and that the the guys responsible for the music are responsible as it was written by Hoagy Carmichael with lyrics by Frank Loesser, published in 1938. Then a short hop to YouTube and found Bea Wain singing it during 1939. I fell in love with her version. So it’s a great tune as attested by the groups and individuals that performed it over the years. Imagine my surprise to find that Bea Wain is still with us at 99 years of age! Hi Don! Thanks for writing! That YouTube clip captures Bea in all her glory, I just wish there was many more clips out there. Her performance on the 1980’s TV show “Jukebox Saturday Night” was also on YouTube for a while, not sure if it is now. It was a real thrill to see Bea in her mid-60s – she still looked and sounded great! And yes, she is still with us – the great Bea Wain will turn 100 in March! As far as I know, she is well and in good shape and I also think her daughter Bonnie follows this website – so Bea herself just might read your comment! I first found Ms. Wain on a PBS big band special in the 1980’s. She did quite a few numbers and was in glorious voice. I immediately became a fan. At first I could only find her on a Larry Clinton compilation where she was featured on only a few songs. Eventually I was able to locate a rather large collection of her vocals. I love her version of “You Go to My Head.” Hope she is well and look forward to her teaching her centennial in April! That should be “reaching” her centennial. Andre had the great Bea and Andre radio show in Palm beach in the 70’s, I always listened to it and, because you and Andre were so super sharp and current, I figured that you were a young couple in your twenties. I was invited to do an hour on the show to promote a big bicycle race I was putting on in downtown W. Palm Beach. When I walked in I was so surprised to see that you were my parent”s age that I said, “You two sound so YOUNG” before I realized how silly that sounded. You both laughed. Just to let you know that I still remember you and the show!!! Hello! I fell in love with Bea Wain when I first heard her recording of Martha, included on a compilation album my parents had. I then began listening to Bea and Andre’s version of YOUR HIT PARADE in the early ’80s, and saw her great performance on JUKEBOX SATURDAY NIGHT. Today, I have a sizable collection of this remarkable singer on cd and tape. I contacted her daughter on Facebook and sent my heartfelt birthday wish for her milestone 100th birthday. I feel that this talented lady is an American treasure, and I thank her from the bottom of my heart for the hours of entertainment she has given me. Ms. Bea Wain, you are the BEST! Thank you Scott! 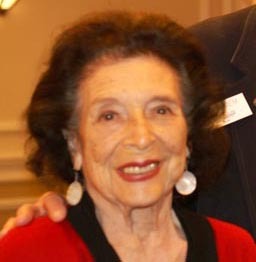 I completely agree with you – Bea Wain is indeed an Amrerican treasure! I was happy to read that Bea is well and preparing for her 100th birthday this month! I’m a professional pianist with a great love for 1920s and ’30s music. I’m sure she receives numerous such requests, but would you be able to help me get in touch with Bea? I cannot find anything online about where she is living now. Would you happen to know my good friend Morten Gunnar Larsen, the fantastic pianist from Oslo? According to her daughter, Bea is in fairly good shape for a 100-year old, and they are peparing her birthday celebration! I don’t really know Morten Gunnar personally, but I have met him occasionally. He is a fabulous pianist, and he seems like a very nice person too! Hi, Stian–Thanks so much for letting me know. Would you be able to help me get in touch with her daughter? Perhaps her e-mail address? Here is mine: adamswansonpianist@gmail.com. From a very recent discussion on Facebook, Bea’s daughther Bonnie has read all the comments made on this article, and so she has seen your email adress too. I am sure she will get in touch with you as soon as she’s able. Personally I’m thrilled that Bea will be celebrating her 100th! She is just about the only person left who made records in the 1930’s! Vera Lynn (who made her first record in 1936) turned 100 in April, so she is still around. The great Kay Starr (who made her first record in 1939) passed away last year – so there is every reason to celebrate the legendary Bea on April 30. When I wrote this article five years ago, I did it as a tribute to one oav my personal favorites. You have no idea how happy I was when all kinds of nice comments and emails started pouring in (and they still do!) from Bea fans all over the world. Hi Richard! How wonderful to be able to sing to Kirk Douglas! I don’t have Bea’s email, but I will show your comment here to her daughter so she can pass it on to Bea. Keely Smith is another one of my favorites, and I am happy she is till with us too, at 85 years young! Thanks for writing, and good luck on your singing career! Haha, we goofed that one up! Well, I sure hope you sang in honor of Bea yesterday! If I hear anything about Keely Smith, I will get in touch. Until then, good luck on your singing career! Looks like there are still more people commenting here than on the new 100th birthday blog you just started, so I will make a post here too. You mentioned Dame Vera Lynn, the “White Cliffs of Dover” singer- she was well-known in Britain for entertaining British troops all over the world during World War II- she did turn 100 on March 20, which makes her just 41 days older than Bea Wain. Dame Vera is sort of a national treasure in Britain because she dedicated herself to keeping up the troops’ morale at a time when London was under constant bombardment and no one knew when it would end or what the outcome would be. Two other well-known entertainers who are past age 100 would be Kirk Douglas, who turned 100 on December 9, 2016, and Olivia de Havilland, who turned 100 last July 1- which means as of today, May 1, 2017 she is two months away from reaching age 101. One cool thing about Kirk is that his wife, Anne Buydens, had her 98th birthday one week before Bea (April 23) and if they both are still around in two years, they will be a very rare couple who will both be 100 at the same time! We all know that Bob Hope lived to be 100 and his wife Delores lived to age 102, but they were six years apart, which means she was 94 when he reached 100, and lived 8 years after that, to be 102. Olivia de Havilland truly has longevity in her genes, as her younger sister, Joan Fontaine, lived to 96. Their father, Walter de Havilland, reached 95 and their mother Lilian Fontaine was 88. So their average age in that family is 95! 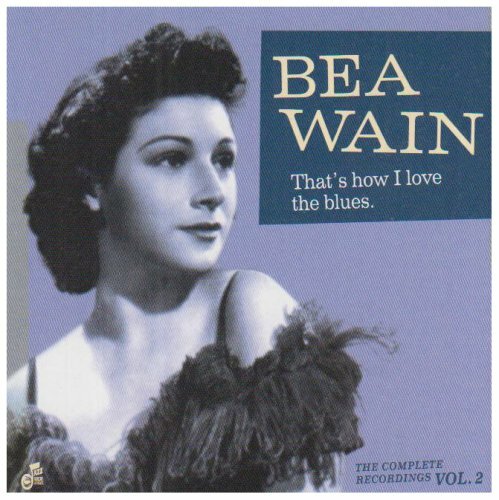 Of course, I love Bea Wain because I love her singing. I grew up in the 60’s when everyone was listening to the Beatles, Jimi Hendrix, and the Rolling Stones, but my mother had bought some old Reader’s Digest collections of 30’s and 40’s music called The Swing Years and The Great Band Era. 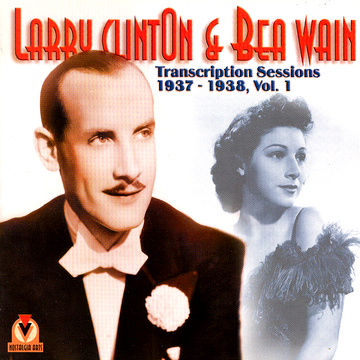 I used to listen to those old collections, and included in them were two recordings from the Larry Clinton Orchestra featuring Bea Wain, “Martha” and “My Reverie.” I have loved Bea all these years just from those two gems, but of course You Tube has brought us not only recordings but old videos as well of many more of the songs from those times. And now, so much more information and trivia is available. Did you know, for example, that one of the other singers in Larry Clinton’s band had a mother named Beatrice? Yes, Carol Bruce’s mother was Beatrice Levy. Bea Wain might have never known that, but now that sort of trivia is available to anyone who can do searches! By the way, Bea Wain was born Beatrice Weinsier. Wain is a stage name, but Bea liked it enough to name her son Wayne. Where is she now? I am not sure, but from the information on her Wikipedia page she and husband Andrè Baruch worked together in New York until 1973 when they moved to Palm Beach, Florida where they lived for 9 years. After that, they relocated to Beverly Hills, California. I have no idea if that is her present location or not, but in a 2004 interview she talked about having done a series of six shows in Palm Springs, California. Palm Springs is about 2 hours from Beverly Hills, so there is no indication that she would have had to have lived there. It would be easy to drive there and stay in Palm Springs for a few weeks to do those shows. I sure wish I would have known about it, I was living in L.A. then and I would have loved to have seen her! In case Bea’s daughter Bonnie is reading this, I wonder if your mother would still do interviews? I have a friend who has an online magazine. He recently did an interview with Bobby Rydell, whose birthday is April 26- four days before Bea’s birthday- and just turned 75. He still does shows and did one here in Las Vegas not too long ago, he was great. He is an advocate of organ donors, he is alive because someone donated their organs and saved the lives of several people including him. Anyway, you can read the Bobby Rydell interview at http://blitzmag.blogspot.com and if Bea would be interested, that would be very cool! He does have some interviews lined up, so Bea might have to live to be 110 or so but it’s my intention that she will anyway! Thanks again for writing, Craig. I have had dozens of mails and comments about Bea these last days. I will cut & paste them all into a document and send off to Bea´s daughter. That means she will forward them also to the great La Wain herself. Whether Bea still does interviews, or is able to, I really don´t know. But if she says yes – your friend at the Blitzmag should jump at the chance really fast! Any and all singers in their 20´s surely must take a backseat if he gets a chance to talk to Bea….